A good solid volume with plenty of heart and happy ever after. 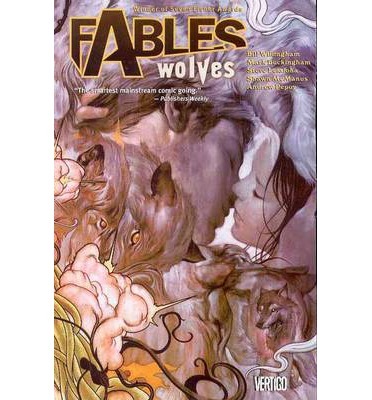 This includes the 50th issue of Fables and is very special in story terms. The main tale is split into nine short chapters which is an interesting choice but doesn’t seem to have much of an impact. The art is great with some lovely colours and low light scenes, plus a terrific double page spread at the key moment. The covers are excellent too. There are a few maps of Fabletown locations and the complete script to issue #50 too. Thumbs Up and a big Ahhhhhhhh!